Write Ray! : What's Good For The Goose! "What's good for the goose is good for the gander!" That's an old adage basically saying all must be treated the same. Prime Minister Justin Trudeau has ordered his Ministers to make up a law banning oil tankers on the West Coast. Oil producers and pipeline folks are claiming they will still build their Gateway pipeline from Alberta to the B.C. coast. The Federal Government and the native communities have signed off on it! But what happens when they get the oil to the coast if the Prime Minister outlaws the ships to carry it to foreign markets? Of course the Prime Minister's law must also apply to other oil tankers, too! The American ships carrying Alaska oil will have to sail far out to sea to avoid the Canadian coastline. (I assume the 200 mile limit will apply here.) That will cost them more money. And what about all that tanker traffic on the East coast? They will have to be banned too unless the Prime Minister decides the east coast is not as sensitive to oil tanker traffic as the west coast. The Prime Minister's edict is very short sighted and it could well alienate Alberta from Ottawa again! Maybe Justin really wasn't ready! 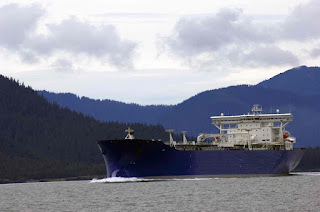 So far as I've read, the proposed moratorium on tanker traffic is limited to the rather treacherous - and hard to navigate - Northern Coast, near Haida Gwaii (formerly the Queen Charlotte Islands). This makes sense to me, as much of Haida Gwaii is already protected as a National Park. I'm glad that they're protecting the National Parks. But we need a channel to bring the ships into a harbour safely. Since the Exxon Valdez disaster, the Americans have developed a very effective safety system to prevent such a spill again. Mr. Trudeau and his Cabinet should check that out before making such sweeping rules. I'm sure that we can transport our oil and gas out of the B.C. coast safely and respectfully. Why could the oil not be shipped via Vancouver, using the already-built TransMountain pipeline? That pipeline is currently undergoing a refurbishment and expansion program that's well under way - not caught in semi-permanent legal limbo, like the Northern Gateway pipeline. 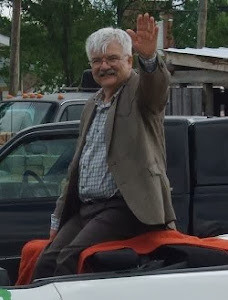 While the Harper government may have approved Northern Gateway through a truncated process (which was described as 'flawed'), many First Nations along the route have not given permission for the pipeline to cross their territories. Until that happens, no pipeline will be built. Vancouver is also an established port, with emergency response programs already in place. Kitimat and the northern BC coast does not have this capacity. Seems like a no-brainer to me, to force tankers to use the shipping lane where there'd be the least amount of damage when there's an accident!